Join CE Pro for this informative webcast offering several Cybersecurity Best Practices. Guest speaker Dan Fulmer, president of Fultech Solutions in Jacksonville, Fla., is the co-creator of the CTA cybersecurity program and discusses exactly how he uses a sybersecurity checklist with customers and with his technicians. 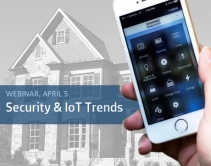 March 13, 2018 APRIL 5, 2018, 2PM ET: This one-hour Webinar looks at new trends in security and home automation, including emerging technologies, competitive landscape, DIY developments, and new business models. PLUS: preview of new products and themes for ISC 2018. 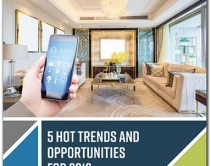 Mass-market smart-home services, converging physical and digital security, tunable white lighting, MDU installs, and video projection comprise CE Pro's Top 5 Home Technology Trends and Opportunities for residential integrators in 2018. 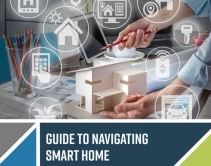 Advertorial · January 26, 2018 Guide to Navigating Smart Home Technology: DIY vs. Professional' from Lutron is free reference document integrators can use to educate customers about limited capabilities of entry-level smart home systems. Setting pricing for your custom installation projects can make or break your proposal. 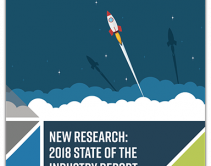 Data from the CE Pro 2017 Labor Rate Study reveals that labor rates have increased over the past two years and the nationwide average installation/integration rate is nearly $96 per hour! 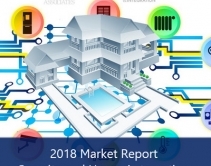 November 30, 2017 When a home owner wants to hide the technology required for a smart home installation — including those giant TVs — that’s where custom integrators shine. 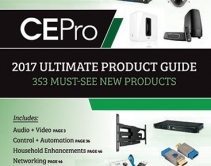 353 must-see products released in 2017 that help integrators achieve more revenue and profits. 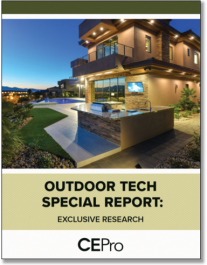 Check out CE Pro's Ultimate CES 2018 Preview, presented by Julie Jacobson to learn all about smart-home trends, product introductions and interesting start-ups at the massive home-tech show. View the recording now!